The mission of FHBC Students is to glorify God by inviting students into a relationship with Jesus and investing in their spiritual growth, therefore increasing His Kingdom through students who are fully-devoted disciple makers. Jumpstart your week with an awesome time of Bible study and fellowship! Sunday School is from 9:45–10:45am in our Student Center. We can’t wait to get to know you! Every Wednesday from 6:15–7:45pm in our Student Center we have CONNECT, a special time mid-week of worship and small groups. Don't miss it! Like us on Facebook and follow us Instagram! 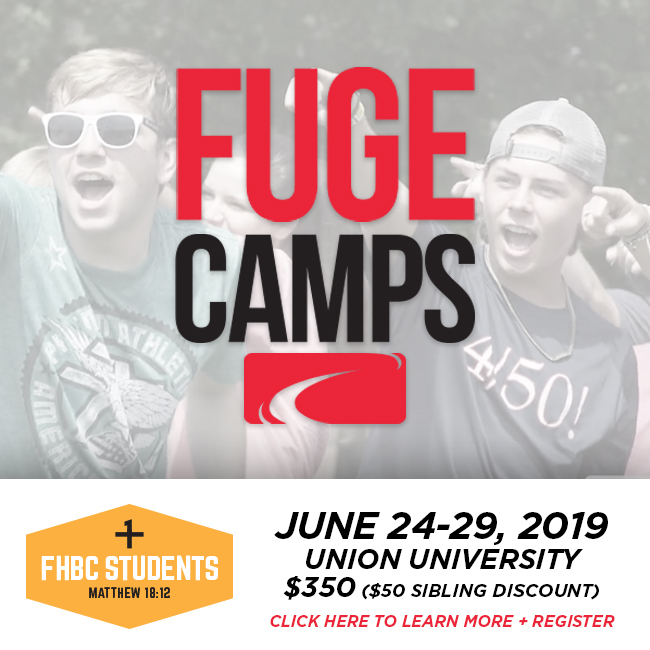 Email Minister to Students Dave MacNeill for more information about FHBC's Student Ministry.